The view down onto Mülheim’s little side street called Bocksberg from up on the Muhrenkamp. 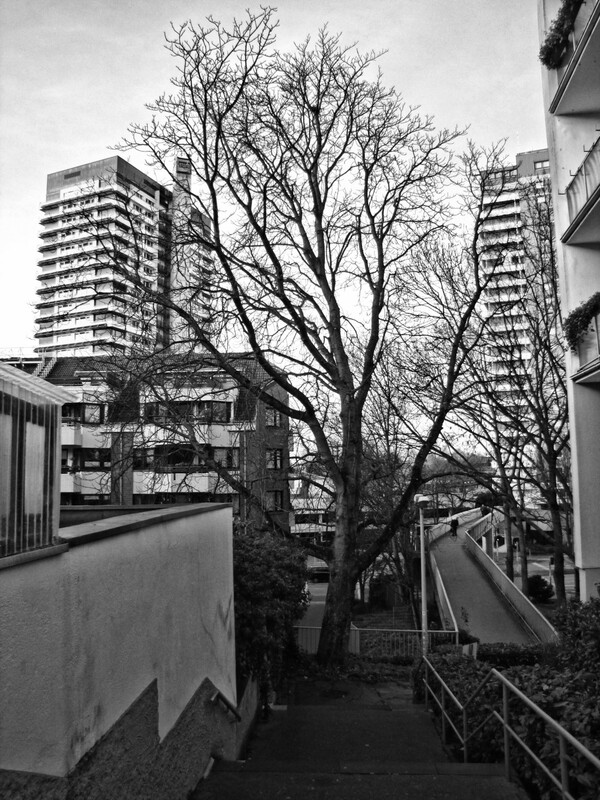 This is the shortcut from our neighbourhood into the inner city and the shopping mall around the highrises, of which you can see two in the background. The actual path goes down to the lower street, the Dickswall, while the pedestrian bridge crosses over it. The house complex at the left was actually built only in the early 1990s and is one of the newest buildings in this neighbourhood.